Smart devices, smart cars, smart grids, smart cities. More meaningful connections are being made to enhance every aspect of our lives and buildings are no different. 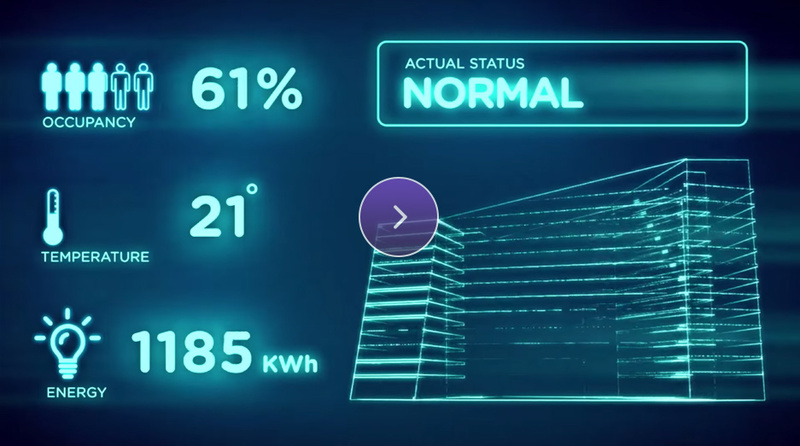 Smart Buildings include the convergence of lighting, heating, ventilation, and air conditioning (HVAC), building automation, and other facility-based systems. Alexander Schneider brings to Israel the powerful connected lighting alliance of Philips (now Signify), Cisco and Panduit. Our solutions include Philips luminaires and management software, Cisco POE switches and Panduit unified infrastructure to connect it all. Now that every POE Luminaire has an IP address and sensors, lighting becomes an App. This disruptive technology sometimes called the “Digital Ceiling” enables us to collect data, perform analytics and improve operations. It also gives us the platform for new “Killer applications” such as Indoor Navigation. Smart Lighting has the potential to reduce energy costs by 90%! Power over Ethernet (PoE) lighting is at the core of this smart building revolution. PoE lighting merges technological advances in low voltage (DC) LED lighting with technological advances in PoE IP networking. The connection of these advances creates an exciting Building Internet of Things (BIoT) component and could provide significant cost savings and unforeseen benefits to the way we work and live.